An A Record maps your domain name to an IP address. 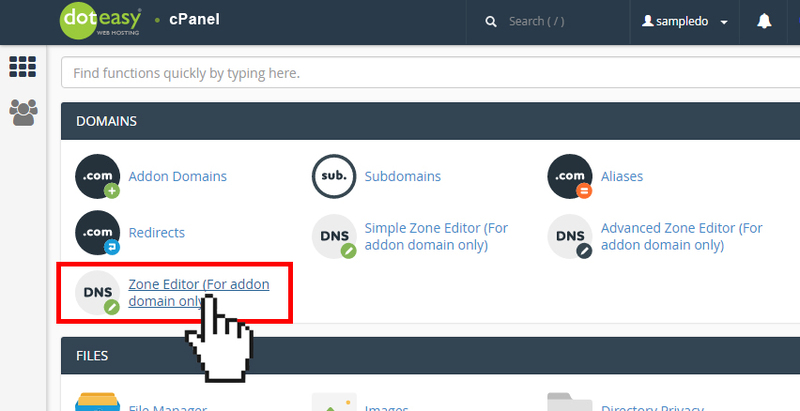 By default, your addon domain’s A record will point to the IP address of your Doteasy hosting account. However, you can always change this so that the addon domain points to a different IP. 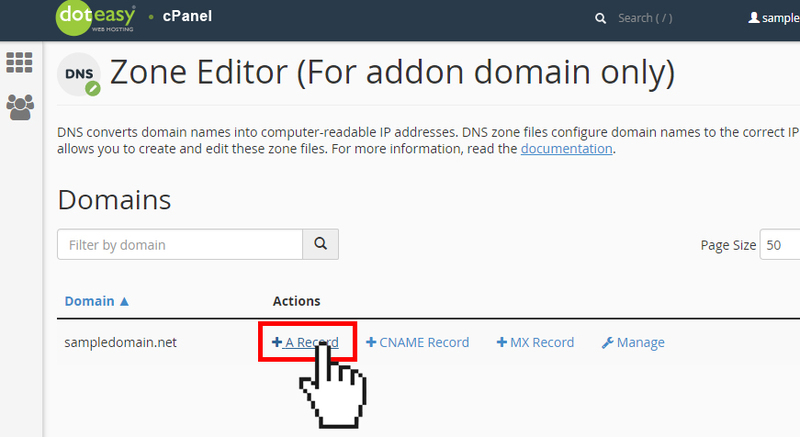 From the Domains table, locate the addon domain name you want to add an A record. Click + A Record from the Actions column. On the Add an A Record window, enter the host name the A records links to in the Name field. Enter the IP address that the record should resolve to in the Address field. When ready, click Add an A Record.